Newcastle United are the second 'dirtiest' team in the Premier League - according to data collected by Ticketgum. The football ticketing website pulled stats from PremierLeague.com to assess which teams had committed the most fouls so far this season and also identitfied the worst offenders. 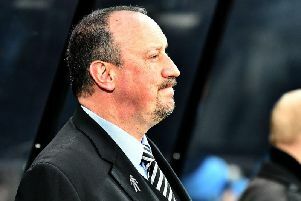 In total, Rafa Benitez's side have given away 91 fouls in their opening seven league fixtures - only Brighton and Hove Albion rank above the Magpies' tally with 96. Ticketgum discovered Newcastle's three guiltiest players when it comes to fouling the opposition - all of which accumulate to 38 of their 91 fouls. DeAndre Yedlin, who conceded a penalty in the 3-1 defeat to Leicester City on Saturday, is the worst Toon offender with 14 fouls with Mohammed Diame (13) and Matt Ritchie (11) closely behind the American. Newcastle have been penalised 40 times more than Manchester City, who have dispensed the least amount of fouls in the top flight. As an individual, Brighton striker Glenn Murray has accumulated 25 fouls alone - the highest by any Premier League player and by some margin too.